Our primary service is aiding our clients in reaching their financial goals. We strive to assist our clients by not only meeting expectations, but by surpassing them. Please take a few moments to familiarize yourself with HFG’s new client process. The initial step in scheduling a complimentary consultation with HFG is to fill out our Confidential Profile. It gives us a glimpse of your financial goals in preparation for a consultation. Please take a few minutes to click the link below and fill out the profile. As soon as we receive it, we will contact you to discuss scheduling your consultation. CLICK HERE to access the profile. 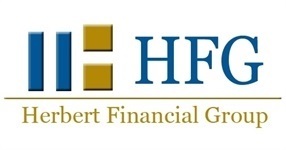 Here are few informative pieces about HFG to learn more about our firm prior to your consultation. All meetings are complimentary and no obligation and can be conducted as either a phone or in-office appointment. During our initial meeting you will be able to ask as many questions as you like about HFG and we will get to know you, your family and your financial situation. Once your initial consultation is scheduled, we will send you a confirmation email and will include a piece called Documents to Bring. A link is also provided below. CLICK HERE to review Documents to Bring to your first appointment. Fee charged based upon investment portfolio size. (This is most common). We have both fee based and commission based compensation. The best option is based on your situation, your investment objectives and the vehicle that will best suit those objectives. There are no fees associated with the complimentary consultation. Any fee structures will be discussed at the appointment if applicable to your situation. After the complimentary consultation meeting, we will then schedule a proposal appointment and perform a thorough analysis of your financial picture. During our proposal meeting we will present you with a comprehensive “plan of action” tailored to your goals and objectives. It is at this time we will also discuss the costs to you if you implement our plan. If you decide to have your investments under our direct management, we will take every step to ensure that the account(s) transition to HFG is as seamless as possible. Once all of the required paperwork is signed we will take care of the rest. We will keep you posted along the way as assets move from existing to new accounts. At your timetable—quarterly, semi-annually, annually, or whenever you like—we are available to discuss your portfolio and ways we may be able to improve our service to you.